Elementary Matters: A Good "Ugly" Cry! It's good for you! I'm sure you've all had one of those good crys. The cleansing kind. The kind that makes you feel FREE when you're done. Sometimes I know I need to cry, but the tears just won't come. If I need to trigger the tears, music will usually help me out. For some, it's a good book, a romantic movie, or sharing thoughts with friends. Those often work for me. In particular, Broadway music. Many of my readers know my "other" love (besides teaching) is theatre, and I've performed in hundreds of shows. Broadway music touches me. 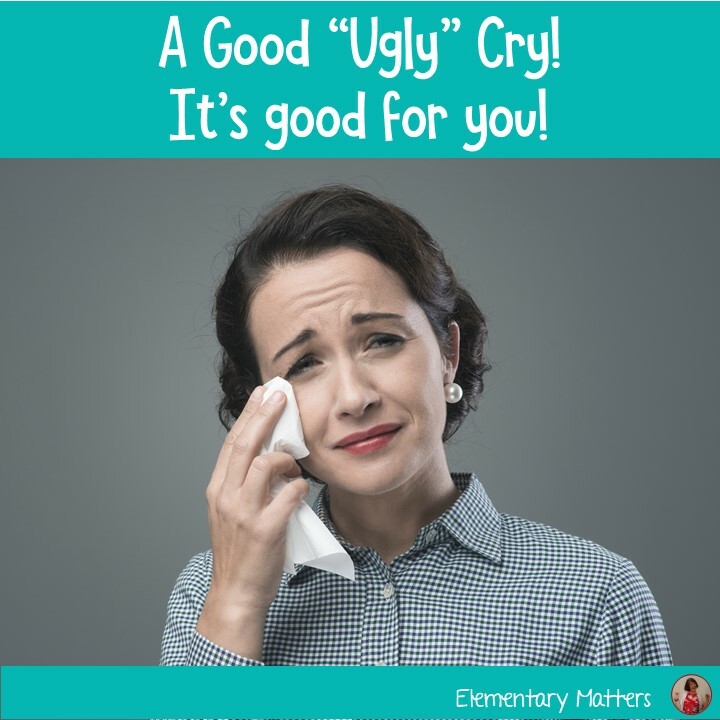 As I'm sure many teachers are in need of a "good cry" these days. I've been thinking a whole lot about children and their emotions. There are a whole lot of sad and scary feelings out there, and it concerns me. How do you teach about Lockdowns and Active Shooter Drills while holding onto your own emotions as well as those of the children? I've been in need of a good cry for a few weeks now. Finally, I saw this video, and the floodgates were opened! This is called "Found/ Tonight". It's performed by Lin-Manuel Miranda (Hamilton) and Ben Platt (Dear Evan Hanson), both Broadway legends. These two musicals are both Tony award winners, and the performers are incredible. Most of the songs in Hamilton bring tears to my eyes, but The Story of Tonight is pretty amazing, as is You Will be Found from Dear Evan Hanson. The combination of both bring me a strength I didn't know I had. Hence, floodgates are opened! This song from Pippin is one I used to sing (and still do) with good friends from college. I particularly like this version of Corner of the Sky, since it's sung by the original Pippin, John Rubenstein, whom I've actually met! (In 1990, he saw me perform in A Chorus Line!) Sorry, there are no visuals with this one! We're back to Hamilton. As I mentioned above, many songs from this musical make me cry. This one is when Aaron Burr (Leslie Odom Jr.) and Hamilton (Lin-Manuel Miranda) meet their respective children. Speaking of children, (That seems to be a common theme in many of these Broadway songs that make me cry.) Far From the Home I Love is song by Hodel when she is leaving her home and family for a man she loves. Not a dry eye in the house after this one! This song is particularly poignant, since I played Golde in a production about 8 years ago, and my daughter played the role of Hodel, singing this beautiful song. The story of a friendship. For Good is such a strong, sweet song from Wicked. I'm sorry I couldn't find a video with the amazing Idina Menzel, but at least I have Kristen Chenowith! The line, "you'll be with me, like a handprint on my heart" gets me going every time! I played the role of Lady Thiang in The King and I back in 2001. My daughter was only 8, and this was her first musical ever. My dad was my motivation for Something Wonderful. I still think of him whenever I hear it. This video is performed by one of my very favorite Broadway performers, Lea Salonga. This video transitions into Being Alive from Company. Being Alive sums up many of my thoughts on relationships. What I Did for Love from A Chorus Line answers the question "What are you going to do when you can't dance anymore." I think the beauty of this song is that everyone can have a strong connection to it. Just fill in the word of your choice... "What are you going to do when you can't ___________ anymore?" 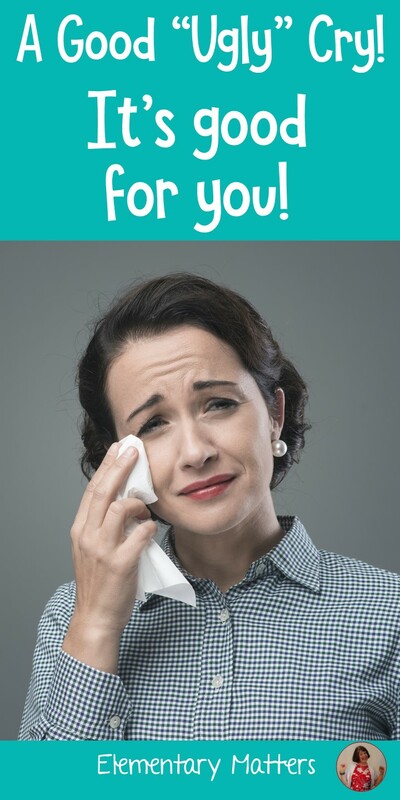 For a real deep cry, ask "What are you going to do when you can't teach anymore?" I was in a production of A Chorus Line back in 1990. (I was also teaching 1st grade at the time.) The show ran for 6 weeks, 4 shows a week, and I cried onstage every night when we performed this song. Rent is a pretty amazing show. I wasn't in this one, but I did perform Seasons of Love with a group in a Christmas Concert. (Fun alto part!) But seriously, it's the context of the song in the show that brings me to tears every time! Les Miserables has several songs that are tear jerkers to me, but once I heard this song in the context of the armed service, I lost it, and do every time I hear Bring Him Home. This has been a guaranteed tear-jerker for me since the early 90s when I saw Miss Saigon in London. (Yes, this is another show with a lot of tear-jerkers. The storyline pretty much rips out your soul!) I Swear I'd Give My Life for You is a sweet moment of love for a child in the middle of the hell that was Vietnam. This was years before I had a child, but I knew I would love my child like this. This last video is a little "treat." This isn't going to be bringing on any "ugly" cry like most of these others do for me. But it's a sweet, sentimental tear. I hope you don't mind that this video isn't quite the quality of the others, but I do happen to be in it! I'm Lucy... in the blue dress.) This is the final song (Happiness) from You're a Good Man Charlie Brown, from a production I did in 2007. I assure you, these people can sing a whole lot better than it sounds in this video, particularly that guy playing Charlie Brown! I hope it brings you a little Happiness!